This amusing set of pillowcases make a fun gift for the newlyweds. 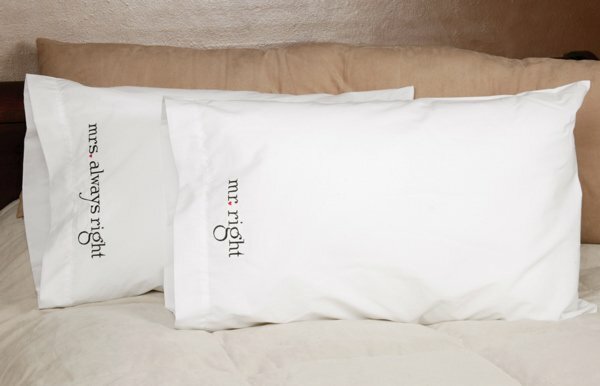 The white 20" x 30" pillowcases are embroidered in black with mr right and mrs always right (we add the period in a heart-shaped red thread color). Pillowcases are a cotton/polyester blend.